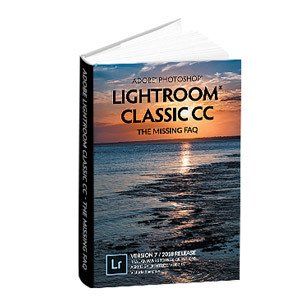 Lightroom has two primary functions – organizing your photos and editing them. Although its organizational tools are powerful, they’re also the most misunderstood, so over the forthcoming weeks, we’ll discuss the best practices for using catalogs, folders, collections and keywords, and then we’ll discuss how to tidy up your existing catalog, if you wish to do so. First, however, let’s talk about some of the most common catalog-related misunderstandings. When you import photos into Lightroom, they’re not really “in” Lightroom. The metadata describing the photos is added to a database (called the catalog) as text records, along with a link to that file on the hard drive. Small JPEG previews are also stored next to the catalog, so you can view the photos when the original files are offline. Imagine an index of the books in a library. The library catalog tells you a little about the book and which shelf it’s stored on, and maybe even gives you a preview of the cover, but it doesn’t contain the book itself. The Lightroom catalog works in the same way. We’ll come back to the catalog concept in more detail next week, but for now, remember one thing: don’t delete your original photos thinking that they’re safely stored in Lightroom. They’re not. The photos are not stored in some magical location, hidden away from your view. They’re just normal image files stored in folders on your hard drive. You choose where they’re stored when you import them. This means you’re not locked into just using Lightroom, but it also means YOU are responsible for looking after the photos. If you move, rename or delete photos outside of Lightroom, you’ll create a mess. Even if you have a Creative Cloud subscription, and you’ve set all of your photos to sync, Lightroom only syncs low resolution previews to the cloud. The original photos are still stored on your computer, and you still need to back them up. You’re still responsible. When you quit Lightroom, it’s probably asked you to back up, and you may have hit ok without reading the rest of the dialog. In doing so, you’d have missed a very important warning: Lightroom’s catalog backup only backs up the catalog. It does not back up your photos. You need a solid backup system, and ideally something that’s automated. 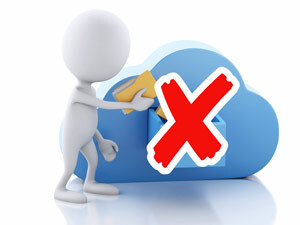 Copying and pasting files onto another drive when you happen to remember does not constitute a reliable backup system. Neither does RAID. And if you’ve ever tried restoring from backups created using the “Make a Second Copy” option in the Import dialog, you’ll have the grey hairs to prove it. There’s a multitude of backup software available free of charge. One easy option is Crashplan. Their software allows you to back up to another hard drive free of charge, and if you have a fast internet connection, their online backup is also inexpensive. For the more technically minded user, Vice Versa (Windows) and Chronosync (Mac) allow even more control over your local backups. 1. Many backup systems overwrite the previous backup with the latest one. If your catalog becomes corrupted (relatively rare) or you make a mistake that you don’t spot immediately (incredibly common! ), your normal backup system will overwrite your last “good” backup with the corrupted/incorrect catalog. Lightroom’s catalog backup, on the other hand, is versioned, which means that it keeps each of the backups, so you can go back to an earlier version at any time. 2. Backup systems that create versioned backups, for example, Time Machine, may run at a time while Lightroom is open. As a result, the backup can be corrupted. Lightroom’s catalog backup, however, runs when Lightroom quits. If in doubt, let your backup system back up Lightroom’s own catalog backups. 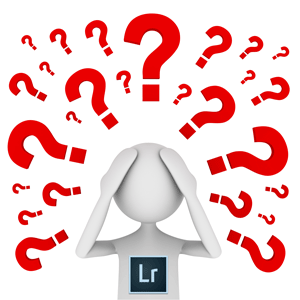 If you remove photos from Lightroom when you’ve finished editing them, or only add specific photos in the first place, you’re kind of missing the point of Lightroom. It’s designed to help you search and work with ALL of your photos now and in the future, and it can’t do that if you’ve removed them from the catalog. Some people remove finished photos because they’re concerned that their catalog will get too big. The largest known catalog is 4.2 MILLION photos, and yes, that’s getting a bit big to handle. But most Lightroom users don’t have 4.2 million photos. While we’re on the subject, let’s state the obvious. Don’t delete your original photos from the hard drive when you’ve finished editing them. That would be like throwing away the film negatives when you’ve made a print, or throwing away the recipe when you’ve finished making a cake. Unless you’re completely deleting the photos from your archives, add them all to your Lightroom catalog and leave them there. If your photos are already on the hard drive, you don’t have to duplicate them when adding them to your Lightroom catalog. In the Import dialog, you can select Add to leave them in their current location, or Move if you want to rearrange them into a new folder structure. Once the photos are added to your Lightroom catalog, you still have plenty of options. You can move all of the photos to another hard drive if you start to run out of space, or you can split them over multiple hard drives. Archive hard drives can be disconnected. Even if you split over multiple hard drives, Lightroom can manage all of this in a single catalog, and I’ll explain how in more detail in a few weeks time. You’ll often hear Lightroom experts (including me) tell you only to rename, move or delete photos inside of Lightroom, because otherwise you’ll break the links. There is one exception. If you’re moving entire folders containing large amounts of data, for example, you’re archiving old photos off to another hard drive, it’s actually quicker and safer to move them in Explorer/Finder and then immediately update Lightroom’s links. In most conventional photo editors, you must save the changes to each file when you finish editing. Lightroom is different. The database is automatically updated whenever you move a slider or update the metadata. You don’t have to do a thing. There is a Save Metadata to Files command in the Metadata menu, but this isn’t a conventional save either. It writes the metadata to the header of the file (or a sidecar XMP file for proprietary raw files). We’ll come back to the pros and cons in a future post, but if you want a head start, see pages 343-346 in my LRCC/6 book). Saving the metadata to the files doesn’t touch the image data, so your Lightroom Develop changes still won’t show up in other photo editors. To do that, you have to export the photos, which is like a Save As. To see your Lightroom edits in other software, or send your edited photo to someone else, you must export the photos out of Lightroom as a JPEG, TIFF or PSD file. This creates a copy of the image with your Develop settings applied, so the original isn’t touched in the process. You don’t need to keep these copies once they’ve served their purpose. Why not? Because as long as you have the original photos and the records in the catalog, you can export another identical copy when you need it, in exactly the size and format you need. In the next post in the series, we’ll discuss the concept of a catalog and how it relates to your photos in more detail. Great stuff, Victoria, as always. One thing about exporting though. A lot of us keep the catalog on a local drive even though we store photos on an external. But, since the stored photos are the original version (straight out of the camera), if you lose the internal hard drive, you’ve lost all your edits, even though you still have the RAW files. I sometimes store the final edit to protect against this. Thoughts? I’d hope that you’d have catalog backups on another drive (or at least a backup of the internal drive) in which case you’d just open the catalog from the backup and it’d find the originals. You don’t want to lose your catalog, wherever it’s stored. Thank you Victoria, I will look forward to future additions on this subject! I have one comment on this part concerning automated backups. I use the automated backup in the Norton Security Suite, it has a funny way of having you select files to backup and I was shocked to find out it wasn’t by default backing up all the files associated with my images and Lightroom such as certain raw file suffixes, xmp files, lightroom catalog and preset and other associated file types. I actually had to add these file types manually by suffix type to be added to the default file types that Norton was backing up, others should be aware of this! Speaking of catalog…. 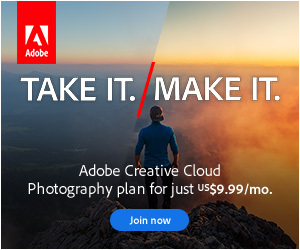 Any idea why Adobe does not take that extra step and allow users to store the catalog in the Adobe Cloud so we could access on the road or at home the one Catalog? I know Dropbox can be used for that but it seems like something Adobe should be doing? I think it’ll be a matter of time before we can do cloud sync George – did you see the Project Nimbus blog post last week? It’s not exactly the same as keeping a LR catalog in the cloud, because they couldn’t officially support a Dropbox-type sync, but it’ll still allow a cloud sync to multiple computers. Looking forward to the rest of this series! Great info, as always. Thank you for this article. Very useful. I know this is maybe a little morbid, but one reason for keeping exported files is … well… in case I die unexpectedly. I publish my favorite photos to a special folder (full of sub folders) for such a reason, in case my wife would like to look at them or print them at some point in the future when I am no longer around. She might be able to figure out how to do that from Lightroom, but it would be a lot easier for her to do what she wanted with them if she can find them in Finder. If you have a better way to d o this, I would be very interested in hearing about it. That’s the most sensible reason I’ve heard Dan! Thank you ! Good work ! I am always interested when i receive your newsletter. In regards to having the catalogue backed up on the local drive and then losing the local drive, causing the loss of edits, I’d like the option of having my catalogue backup written to two different drives. One would be the local drive and the other would be the external drive where all the files reside. I occasionally change the location of the catalogue backup to accomplish this but then I never remember where the latest catalogue was written. I also use Crashplan to back everything up to an external drive and to Crashplan central. Hi Ken. You’d probably be better to leave LR’s backup set to a single location and then let your backup software create your second copy. Thanks for the information, Victoria. Any chance you can provide a concise and easy- to- follow set of instructions on how to move Lightroom application and photos to a new hard drive? Hi Mike. You’d probably want to keep the application files on the boot drive, but if you want to move those, you’d need to uninstall and then reinstall to the new location. So is the Catalog backup and additional backup or the main backup. For all my photos I back them up to a second drive after uploading them to LR. I also let Crashplan backup to a third drive and to their cloud (Just a little paranoid). But the catalog backup then is not a true 2nd backup–or is it. I’m more concerned for if and when the drive with the catalog backups dies or gets corrupted. Thanks for the advice. Could you advise on the best way to manage my photos during the move? Should I move the photos off under LR or Finder and if so what about the catalogue? One thing about backing up the catalog folder, do you mean the backup won’t be good (or corrupted) when LR is open, if I use another backup application to back up the entire catalog folder? 1. If the catalog gets corrupted without you realizing it, and then your backup software overwrites your previous backup, you end up with a backup of a corrupted catalog. 2. If Lightroom is open when the backup application runs, then the resulting catalog backup can be corrupted. The easiest solution is to let LR run its own backups, and then let the backup software back up those backups along with the catalog. That way, if there’s a problem with the backup of the working catalog, you can just go back to one of the backup catalogs that were created when LR was definitely closed. This has always been one of my annoyances. The term backup seems to indicate that it’s there just in case, that is a secondary file. But it’s really not. It’s just a version of your catalog with the newly imported images. So periodically I change the location of the backup to an external hard drive and then always have my cloud storage backup everything. So worst case there is always a recent uncorrupted version. I really wish Lightroom allowed you to automatically put a second copy of the backed up catalog on another drive the way you can make a copy of the imported images to a second drive (even though I don’t like how that feature renames the files). Just to be absolutely clear, the backup catalog is just a copy of the entire catalog, not just the new records. No images are included. I do agree that a second copy of the catalog backup could be useful in some situations, although we should be running full computer backups anyway. Creating a master file from an edited image (e.g. A 16-bit TIFF) safeguards you against Adobe changes, File format changes, Software subscription ending, and a number of other things I can think of. Keeping a master TIFF or full quality JPEG of the finished result guarantees that no matter what happens to Lightroom in the future, you are not tied in to Adobe if you want to use that image as it is/was. It can also save you from disaster as it is yet another form of backup. Even if it is rasterized. When you compare disk space costs versus LR subscription costs versus the cost to you if you lose all access to data, keeping a high quality final, even if like mine, many are in the 2-4GB size, is not something to lightly dismiss. A 4TB disk that is offline for backups costs less than LR+PS does for 2 years. Never confuse backups and data access with money. One you can earn and replace, the other, when lost, is gone forever. Software subscription ending isn’t a problem, because most of LR carries on working, so you could export the file with all its edits even after the subscription expires. Equally, with the end of support of a file format (which has never happened), you could export the file when that happened, as there would be plenty of warning. In all the years of camera raw, the only change I can remember that affected existing photos was a change to the demosiac which made slight changes to the detail available in an image. This may be important to a few people, but is of no consequence to most. Another format as backup has some merit, although I’d still recommend using that extra hard drive space as backup of the originals and settings, rather than a rasterized edited copy. But yes, having an edited copy could be valuable in some circumstances, for example, if we died and our family wanted to access the photos without any Lightroom knowledge. Hi There, I was wondering what your thoughts are about storing my LR catalog in Dropbox. I use multiple computers and this seems to be a popular option for many photographers for easy access. Thanks in advance for your reply. I’ve worked that way for years. Just have to be careful that both computers have finished syncing before you switch. I Carbon Copied my external HD that I keep all of my all of my LR files on to another Ext. Drive so I could work on images will traveling. When I opened LR and went to my original catalog there is a ! mark for all 24,000 files. Is there a way to relink without sorting through all the images? Which operating system Blaine? The answer is yes probably, by relinking the parent folder of a folder hierarchy. A screenshot of the Folders panel would allow me to give you a definitive answer, so feel free to post on the forum and we can walk you through it. Hi Victoria, I read somewhere that “images older than 12 months will be automatically removed” from a Smart Collection. Is that really true? If so, does some similar statute of limitations apply to other items like Collections, Catalogs, slide shows? No, that’s not true. I haven’t heard of that one before, but images older than 12 months would only be removed from a smart collection if that was part of the smart collection criteria you chose. This is beyond the scope of this discussion but I think it is good to understand its utility. I do a lot of post processing in other programs like Alienskin Exposure and Topaz Labs. For me I like to see these edited image files inside the Lightroom catalog so in this case I definitely add them and keep them. A good idea might also be to apply external program edits as Smart Filters in Photoshop and add the resulting PSD files to Lightroom. This way would provide a non-destrusctive image and the flexibility to modify the edits from Alienskin or whatever external program you use as a filter in Photoshop.